From mid-October onwards, all vehicle owners across Punjab will have Vehicle Registration Card or Digital Vehicle Smart Cards as the Excise and Taxation Department has announced to replace the existing registration system aimed at to facilitate citizens. The Smart Card will cost Rs 500, and it will expire after five years. 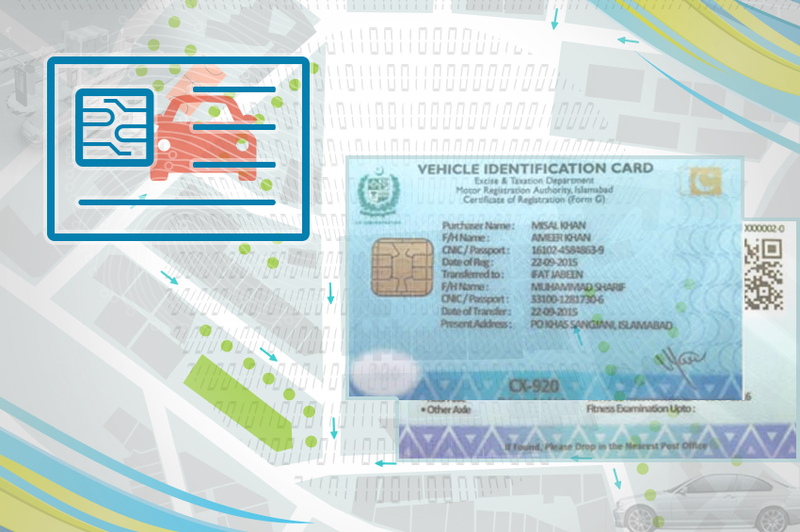 Smart Card contains information related to a vehicle and its owner including owner’s name, CNIC/passport info, vehicle’s engine and chassis number, registration number, assessed annual tax, token status, and engine details etc. How to get Vehicle Registration Card? Under the new vehicle registration system, vehicle owners will have Smart Cards, new number plates, and universal numbers. All you have to do is to visit Excise office to obtain your card after depositing the required fees. As per Nadra’s website, the launch of chip-based National Identity Cards is being introduced in the country starting from Punjab. Soon, VRC will replace the registration copies of motor vehicles.